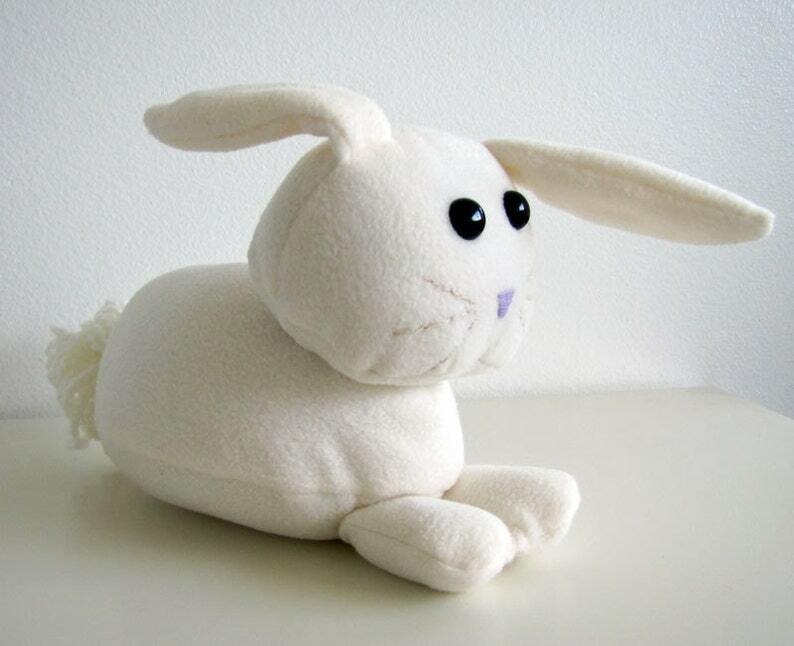 Adorable stuffed bunny with floppy ears, safety eyes, embroidered cream whiskers and lavender nose, and a big fluffy yarn tail. Check out the other Bunny In Clover items! A handmade treasure by Jennifer Bass.